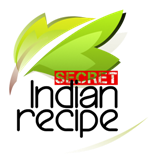 Hemani Dhavle's Secret Indian Recipe ! In a non stick pan or kadhai take milk, khoya and paneer.. Keep stirring them on medium heat till the khoya starts to melt. As it melts add sugar. Keep stirring continuously. Stir for 5 mins and add ghee. Continue stirring and cooking till the mixture starts to thicken again (Might take easily 30 mins of stirring and cooking on low-med heat). When the mixture is thick (Thicker than a cake batter) turn off the heat. Take a narrow but deep steel utensil and transfer the mixture in it. dont take a cake pan as cake pans are flat and broad and not deep. You need a vessel which is deep. Once transferred place the mixture in one corner for at least 2 hrs to completely cool down. What happens is, the top and bottom start cooling faster where as the center portion takes time to cool and continues to brown. This is why you get white and brown shades in a milk cake. Once it is coold and hard. Place the milk cake in fridge for 15 mins and then slice into cubes to get perfect cuts. Your milk cake is ready to be served. khandvi (gram flour and curd rolls with . . .